Colgate’s mission is to provide a demanding, expansive educational experience to a select group of diverse, talented, intellectually sophisticated students who are capable of challenging themselves, their peers, and their teachers in a setting that brings together living and learning. The purpose of the university is to develop wise, thoughtful, critical thinkers and perceptive leaders by encouraging young men and women to fulfill their potential through residence in a community that values all forms of intellectual rigor and respects the complexity of human understanding. See themselves honestly and critically within a global and historical perspective: recognize that their beliefs, identities, interests, and values are in part a reflection of their background, education, and life experiences. Understand the methodology, modes of thought, content, and discourse of a particular scholarly discipline: articulate questions for research and craft a coherent argument so as to produce a substantial work in their chosen field. Conduct interdisciplinary inquiry: synthesize viewpoints from multiple disciplinary perspectives so as to overcome the limitations of any one perspective. Appreciate the myriad modes of human creative expression across time and place. Investigate human behavior, social relations, and institutions in order to understand the complex relationship between self and society. Examine natural phenomena using the methods of science, and understand the role of science in contemporary society. Acquire valuable habits of mind: listen and read well; think critically and creatively; ask challenging questions; gather relevant information and construct cogent arguments to answer them. Communicate well: speak and write correctly and precisely; speak and read a second language; present information effectively. Set an example of ethical behavior in public and in private: take a principled stand for what they believe and be accountable for their actions; uphold the legal and ethical uses of information. Be engaged citizens and strive for a just society: embrace their responsibilities to local, national, and global communities; use their influence for the benefit of others. Respect nature and the diversity of life on earth: recognize their individual and collective responsibilities for the stewardship of the earth’s resources and the natural environment. Grow in both confidence and humility: affirm a set of values while respecting and learning from the diverse perspectives, identities, ways of life, and philosophies of others. Continue learning beyond college: sustain a lifelong curiosity and grow in knowledge and wisdom. Colgate University’s origin dates to 1817 when 13 men — six clergy and seven laymen — met in the frontier settlement of Hamilton to found the Baptist Education Society of the State of New York. To this day Colgate people consider the number 13 a good omen. The Baptist Education Society was chartered by the state in 1819 and chose Hamilton as the site for its school, which opened in 1820. The Colgate family connection was established in 1823 when Baptists in New York City — soapmaker William Colgate among them — consolidated their seminary with the school in Hamilton to form the Hamilton Literary and Theological Institution. The oldest building on the current campus, West Hall, was built three years later in 1827. By 1834 the institution included preparatory, collegiate, and theological departments. The first students “not having the ministry in view” were admitted in 1839. A state charter issued in 1846 changed the name to Madison University and established the right to grant degrees. Madison was changed to Colgate in 1890, recognizing nearly 70 years of continuous involvement and service by the Colgate family. Colgate Academy, the preparatory department, was discontinued in 1912. The theological division merged with Rochester Theological Seminary in 1928 to become Colgate Rochester Divinity School, and Colgate has been non-sectarian since that time. The university became coeducational in 1970.
Colgate today is a highly selective, independent, coeducational liberal arts college enrolling approximately 2,900 undergraduates in programs that lead to a Bachelor of Arts (AB) degree. A small graduate program offers the Master of Arts (MA) and the Master of Arts in Teaching (MAT) degrees. Education, 3624 Market Street, Philadelphia, Pennsylvania 19104, 267-284-5000. The Middle States Commission on Higher Education is an institutional accrediting agency recognized by the U.S. Secretary of Education and the Council for Higher Education Accreditation. Colgate University is also accredited by the American Chemical Society (ACS). All Colgate degree programs are registered by the New York State Education Department, Office of Higher Education and the Professions, Cultural Education Center, Room 5B28, Albany, New York 12230, 518-474-5851. Selection of the major is made before the end of the sophomore year from among the departmental majors or the interdisciplinary majors. Optional minors in all department fields are normally declared during the junior year. Colgate offers a variety of academic experiences with an international emphasis including nine modern and two classical languages as well as more than 20 off-campus study groups, most of them overseas. As part of the liberal arts and sciences program, there are opportunities for honors, independent study, and research. The diversity within the academic program prepares students for many careers and life choices, including professions that require graduate school training. As a residential university in the village of Hamilton, Colgate is a community where students, faculty, and administrators share the challenges, joys, and responsibilities of learning. Respect for individuals is expected and fostered. Students are represented on both the Academic Affairs Board and the Student Affairs Board, the two major policy-making bodies in the governance system. The liaison committees reporting to the faculty and to the Student Senate are also composed of students, faculty, and administrators. These committees deal with matters ranging from multicultural affairs to the university budget. Active and constructive participation is the key to Colgate community life. A look at the schedule of events for any given week will reveal many opportunities beyond the classroom, laboratory, and library — music, theater, art, lectures, films, athletics, and more — to suit almost every interest. Colgate is home to several centers and institutes that serve the community by providing opportunities for research, service, and intellectual and personal development. The Center for Freedom and Western Civilization seeks to enliven the intellectual discourse among students and faculty on campus by promoting a set of ideals that have their origins in Western civilization but are universal in scope and appeal. The Center for International Programs was established in 2015 and houses the Office of Off-Campus Study and the Lampert Institute for Civic and Global Affairs. Activities that prepare students for their study abroad experience take place in the center, along with events sponsored by international student organizations. The center is a vibrant and flexible space to host events and programs that extend Colgate’s reach around the world. With its conference room, lounge, and kitchen, the center serves as a gathering space for students, faculty and staff. The Center for Language and Brain scientifically explores questions regarding neural mechanisms and functions of native and foreign language use and learning. The Center for Learning, Teaching, and Researchis dedicated to enhancing learning and teaching in support of students and faculty. It serves as a campus-wide clearinghouse for information and consultation about the development of academic skills and competencies that support high achievement. The center coordinates tutoring services and arranges one-on-one tutoring and peer-led group learning programs and undergraduate research. The center also has a variety of resources for faculty development, teaching, and scholarship. The Center for Women’s Studies located on the ground floor of East Hall, was established in 1991 to extend education on issues of gender and women’s studies to the entire Colgate community. The center offers a classroom, offices, and a reading room with books, magazines, journals, and other resources. Dialogue among students, faculty, and staff as well as discussion groups, films, and other outreach programs sponsored by the center enhance the understanding of gender issues and the intellectual development of Colgate students outside the classroom. Lampert Institute for Civic and Global Affairs provides a forum for study and debate in the areas of civic affairs and public leadership, applying insights from the liberal arts to the important challenges facing human beings around the world. The Picker Interdisciplinary Science Institute fosters the creation of new knowledge that is obtainable only through the development of sustained interdisciplinary research. The Max Shacknai Center for Outreach, Volunteerism, and Education (the COVE) was founded in 2001 and is Colgate’s center for service, citizenship, and community building. Housed in Lathrop Hall, the COVE supports 40 student-led community-based teams (volunteer groups); offers alternative break opportunities; serves as a resource to faculty for service-learning courses; sponsors an internship program; offers a pre-orientation service program; is involved in campus life initiatives; offers topical, skill-based learning opportunities; raises awareness for local, national, and global social issues; and provides programming in social change-oriented career choices. The goal of the COVE is to foster a commitment to social responsibility and civic engagement within the Colgate community. The COVE includes a lounge, conference room, and staff offices. The Shaw Wellness Institute promotes the holistic development of students and the Colgate community. The Upstate Institute promotes a better understanding of the cultural, social, economic, and environmental resources of Upstate New York. Writing and Speaking Center provides one-on-one peer assistance with writing projects and oral presentations from across the disciplines. Writers and speakers of all levels and abilities are welcome, with no referral necessary, and students may visit at any stage of the composing process, from initial brainstorming of ideas to review of a full draft or presentation. Appointments and walk-in hours are available at several campus locations each semester. Colgate is a community of approximately 2,900 students — a size that support a richer variety of opportunities than would be possible within the context of a smaller college. The university seeks to admit individuals who are able and motivated to complete the academic program and who represent a diversity of talents and backgrounds that contribute to and enrich the campus community. Special promise in particular areas, such as art, music, theater, and athletics, is sought along with demonstrated academic achievement. Since 1967, academically and economically disadvantaged students with strong potential have been recruited and admitted to Colgate under the auspices of the Office of Undergraduate Studies. The principal purpose of the university is undergraduate education, and all faculty members have teaching as their primary responsibility. Courses are taught by faculty members, not graduate students. Students and faculty share in the vigorous pursuit of learning, both inside and outside the classroom. Colgate faculty members are productive artists, authors, and scholars whose professional work is important not only for the advancement of knowledge but also as a means by which teaching is continually refreshed and revitalized. Interdisciplinary cooperation, exploration, and programming among faculty, as well as the university’s commitment to undergraduate teaching and to the goals of academic freedom and excellence, make Colgate’s teaching and learning experience outstanding. Colgate’s nearly 33,500 living alumni are particularly notable for their loyalty and have a tradition of strong engagement and philanthropic support. 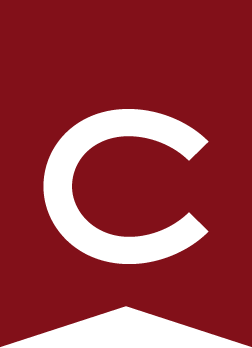 Their achievements as distinguished graduates in almost every field continually enhance Colgate’s reputation. Many alumni maintain an active interest in university affairs through admission recruitment, career advising, fundraising, reunions, speaking engagements on campus, Colgate publications, and more than 60 active district clubs around the world. Alumni Hall, erected in 1860 and extensively renovated in 1965, is home to the Departments of History and Sociology and Anthropology, the Africana and Latin American Studies Program, the Peace and Conflict Studies Program, and the Native American Studies Program. The Longyear Museum of Anthropology is maintained by the Department of Sociology and Anthropology as a teaching museum. The collection of archaeological, ethnological, and artistic materials, primarily relating to the Americas and Africa, includes the Mortimer C. Howe Collection of American Indian artifacts; the Herbert W. Bigford, William Bennett, and Theodore Whitney collections of Oneida Indian and pre-Iroquois archaeology; contemporary paintings, drawings, prints, and mixed media works by Canadian First Nations artists; and the Herman Copen Collection of African art. The Dana Arts Center houses the Department of Music and theater and The Picker Art Gallery. The building was constructed in 1965. The Picker Art Gallery is on the second and third floors of the Dana Arts Center and offers frequent traveling exhibitions of international scope, as well as exhibitions of antiquity, Asian, African, Old Master, and 20th-century works from its permanent collection. Brehmer Theater is the setting, each year, for up to 10 theater productions, each staged as many as six or seven times, as well as concerts and lecture events. Hascall Hall, on the academic quadrangle, is the office and classroom building for the Department of Philosophy. Built in 1884, it stands as a distinctive example of the Romanesque Revival style of architecture and is listed in the National Register of Historic Places. The Robert H.N. Ho Science Center, which opened in fall 2007, houses the environmental studies, geography, geology, and physics and astronomy departments and programs, and part of the biology department. The building is designed to enhance the sciences, encourage multidisciplinary fields of study, promote collaborative learning, and recognize the importance of community outreach. Named in honor of Robert Hung-Ngai Ho ‘56, the science center features several classrooms and teaching laboratories, the Robert M. Linsley Geology Museum, numerous faculty and student research spaces, a modern greenhouse, a planetarium and 3D-visualization classroom, and a geographic information systems laboratory. The Robert M. Linsley Geology Museum exhibits geology collections including the Edward Lathrop, J.H. TenEyck Burr, John H. Vosburgh, and William Urban collections of minerals and gems, and the G. Arthur Cooper and Ledyard Lincklaen collection of Devonian fossils. The Ho Tung Visualization Lab is a digital theater and planetarium for immersive learning and research experiences. Lathrop Hall, built in 1906, was remodeled and enlarged in 1971, and renovated in stages from 2010 to 2012. The building includes classrooms, lecture halls, and office space for the Division of University Studies, the department of writing and rhetoric, and the department of English. The Writing and Speaking Center, the Upstate Institute, the COVE, Colgate Speaking Union, Center for Learning, Teaching, and Research, the office of equity and diversity, and offices for Benton Scholars, sustainability, and certain other dean of the dollege staff are also housed in Lathrop. Lawrence Hall was erected in 1926 and renovated most recently in 1996–97. The Departments of the Classics, East Asian Languages and Literatures, German, Religion, Romance Languages and Literatures, and interdisciplinary programs in Jewish Studies, Middle Eastern and Islamic Studies, and Russian and Eurasian Studies, as well as the Division of the Arts and Humanities office, are in this building. The Max Kade German Center, the W.H. Gifford Classics Center, the Japan Studies Center, the Russian Center, the Robert Ho Center for Chinese Studies, and the Robert Ho Lecture Room are named spaces located in Lawrence Hall. The W.M. Keck Humanities Resource Center features state-of-the-art technology to facilitate the study of language, culture, and humanities. The Colgate University Press, founded in 1964 by seven members of the faculty, publishes at a modest, self-supporting rate. Little Hall, completed in 2001, is home to the Department of Art and Art History. It contains studio art and art history classrooms and faculty offices, as well as the Stilwill Library, a slide library, Clifford Art Gallery, and Golden Auditorium, which offers state-of-the-art projection capabilities. Studios located in the building include printmaking, video, drawing, and digital art. An outdoor sculpture court connects the facility with the Eric J. Ryan Studio building. McGregory Hall was erected in 1930 and renovated in 1981 with additional extensive renovations completed in 2015. The building provides space for the Departments of Computer Science and Mathematics, the Cooley Science Library, Center for International Programs, and offices for the dean of the faculty, dean of the college, fellowships office, institutional planning and research, and the registrar. The Foggy Bottom Observatory, located above the campus buildings, contains a 16-inch reflector telescope, used on more than 100 nights each year for course instruction and faculty/student research. This and several smaller telescopes are used by students in introductory classes for observing stars, planets, and nebulae, and by upper-level students for research studies of quasars, galaxies, and supernova explosions. Olin Hall, completed in 1971 and extensively renovated and enlarged in 1990, contains classrooms, teaching and research laboratories, and offices for the Departments of Biology and Psychology. The building houses state-of-the-art facilities and equipment, quarters for housing both warm- and cold-blooded animals, individual experimental rooms for psychology, a microscopy suite, and Love Auditorium. A new museum facility contains the George R. Cooley Herbarium collections, many of them from Mr. Cooley, a member of the Class of 1921, as well as vertebrate and invertebrate specimens from locations near and far. Persson Hall, built in 1994, houses the Departments of Economics, Educational Studies, and Political Science, as well as the Division of Social Sciences office. It features a glassed-in bridge spanning one of the main pedestrian pathways connecting the upper and lower campus. The Eric J. Ryan Studio building, connected to Little Hall, opened in 1974 and provides facilities for teaching studio art and theater. It contains studios for painting, sculpture, and photography, as well as rehearsal rooms for drama and jazz. Wynn Hall, the chemical sciences building, opened in 1979, is connected by tunnels to the other science buildings on campus. There are laboratories, class and seminar rooms, and departmental offices, as well as the health sciences advising office. The Case Library and Geyer Center for Information Technology, which opened in March 2007, is the main library serving the arts and humanities, social sciences, interdisciplinary areas, and university studies. The five-story, 151,000-square-foot structure brings together the university’s print, media, and digital resources. The result is an interactive, user-friendly facility supporting the collaborative learning central to study in the liberal arts. Its atrium provides natural light throughout the building and shows the library’s centrality in the life of the University while its four reading rooms celebrate Colgate’s sense of place with northern-looking vistas on the Chenango Valley. It will accommodate decades of projected growth through its three-story, library automated storage and retrieval (LASR) system, which is capable of housing approximately 550,000 volumes, to which there is convenient access through the library online catalog. Collections Approximately 824,469 print book/periodical volumes, 574,634 ebooks, and 127,263 print and digital periodical/serial titles provide access to primary source materials, periodicals, newspapers, and books. Audio-visual media, maps, and a wide range of state and U.S. government documents round out the collections. Membership in the ConnectNY consortium provides 72-hour access to items from a combined collection of 5 million titles. The library web page, cul.colgate.edu, features the online catalog, specialized access to digital and periodical resources, and information about collections and services. Students, faculty, and staff can find research materials, check the location and status of specific items, consult reserve reading lists, obtain a list of items they have checked out, renew specific items, request items from other libraries, chat online with or text a reference librarian, or fill out a request for a personalized research consultation. Mobile access is now available. Services Reference librarians provide personalized assistance in finding and assessing information resources available in the libraries, on the Internet, or through interlibrary loan at the reference desk, through e-mail or online chat sessions, and in individual research consultations. They provide one-on-one help to students working on media projects, both on demand and by appointment. Librarians also teach information literacy instruction sessions coordinated with courses. Facilities In addition to individual study carrels, group studies, network computer connections, approximately 140 computers, and general seating for 1,129 students and faculty, the Case Library and Geyer Center for Information Technology includes state-of-the-art facilities for doing research, creating digital scholarship, and teaching courses, library information literacy sessions, and information technology workshops. On the level three main corridor, staff members provide user assistance at the Circulation Desk, Reference Help Desk, and IT Service Desk, and computers, scanners, printers, photocopiers and microform reader-printers are available for use. On level two, the Special Collections Department houses major collections on Joseph Conrad and George Bernard Shaw, rare books, University Archives, a wide range of historical and biographical materials relating to alumni and faculty and significant collections of Hamilton and Madison County history. The level five Learning Commons provides a wide array of user spaces including a café, service desk, Batza Meeting Room, Cronin Learning Lab, Grover-Hargrove Digital Learning and Media Center, group studies, seminar rooms, flexible workroom, assistive technology room, and a reading room with one of the best views on campus. Hieber Café offers food and beverages, and converts to a 24-hour study space when the library is closed. The ITS audio and video recording studios are available in Case-Geyer on level one. The George R. Cooley Science Library, newly renovated in summer 2015, is located in the lower level of McGregory Hall, serves the natural sciences, mathematics, computer science, and psychology. It provides print science collections, study carrels, network computer connections, general seating, and specialized research assistance. The ALANA Cultural Center fosters understanding and appreciation of Africana, Latin American, Asian American, and Native American cultures, struggles, and accomplishments. Sponsoring extensive programming throughout the year, the center collaborates with both ALANA student organizations and academic programs concerned with multicultural issues and education. The center offers a computer room, kitchen, lounge/study area, and several seminar/meeting rooms, and serves as a gathering place for students. The Bewkes Center, a 140-acre family farm located a few miles west of the campus, was the gift of E. Garrett Bewkes Jr. ‘48. The property includes a 19th-century stone house, an 11-acre pond, and a cottage. It is used for student ecological, environmental, meteorological, and geological research, for employee recreation, and as a conference center. Chapel House provides a meditative environment for the study of religious books, art, and music. There is a library of several thousand volumes; works of religious art by Buddhist, Christian, Confucian, Hindu, Jewish, and Muslim artists; a collection of recorded religious music; a chapel; six guest rooms; and a dining room where meals are served to resident guests. The James C. Colgate Student Union, located on the lower campus, was built in 1937 and renovated in 1985. It houses meeting rooms and offices for student organizations, rehearsal and performance space, Donovan’s pub, a game room, student publications, a student television studio, and the Hall of Presidents for student concerts and events. The Colgate Bookstore, the largest independent bookstore in central New York, is located one mile from campus, in downtown Hamilton. It provides all of the course books that students need for classes and a large selection of general books. The bookstore also offers a diverse selection of high-quality Colgate clothing and gifts; a full-service computer department; and a large selection of school, art, and dorm supplies. Rounding out the offerings are extensive community programming, comfortable seating, and wireless Internet access throughout the store. The bookstore is a point of convenient access to the free campus shuttle. The Colgate Inn on the village green serves the university and the community as a gathering place for meals, events, and meetings and provides hotel accommodations for visitors. Conant House is dedicated to the Office of Counseling and Psychological Services. 1 Madison Street and 14 Utica Street in the village of Hamilton house the Division of Institutional Advancement. 88 Hamilton Street houses the Campus Safety Department. Curtiss E. Frank Dining Hall, built in 1984, is open 24 hours/day seven days/week and serves students who live in residence halls and is open to all in the Colgate community. The Hamilton Theater provides diverse film programming for the community, preserving and enhancing the historic tradition of the theater as a community resource. Memorial Chapel is used for chapel and University Church services, convocations, concerts, and lectures. The basement houses a small ecumenical chapel and seminar area, a meeting/assembly/warm-up area, offices, and music practice units. The building was erected in 1918 as a memorial to James B. Colgate by his daughter, Mary Colgate. Merrill House, built in 1899, was a gift of James B. Colgate. It houses the offices of communications and planning, design, and construction, as well as a faculty/staff dining service with gathering spaces for receptions and small meetings. O’Connor Student Center (the “Coop”) is the primary hub for out-of-class student activity on campus providing a comfortable informal dining area. The Coop also houses the Center for Leadership and Student Involvement, Student Government Association, Colgate Activities Board, a small convenience store, student travel agency, community lounge space, campus mail facility, WRCU radio station, university printing, and a public computer center. The Palace Theater in the village of Hamilton is an alternative entertainment venue for the Colgate and the Hamilton community providing a focus on performing arts, music, dance, and multimedia entertainment. Raab House (formerly Watson House) was renamed in 2011 following a generous gift from trustee emeritus Kirk ‘59 P’12’12 and Maryann Raab to renovate the house. The house, built in 1962 as a residence for the president of Colgate, was originally the gift of Mrs. Thomas Watson. The Michael Saperstein Jewish Center, built in 1993, provides a setting for weekly Shabbat services, Passover seders, and observance of Jewish holidays. It is equipped with a kosher kitchen. The center offers lectures by speakers of international renown and social and educational opportunities for all students interested in Jewish religious and cultural life, and serves as a lounge and meeting space. The Paul J. Schupf Studio Art Center, located in a renovated building in downtown Hamilton, provides approximately 8,000 square feet of studio space for faculty and students. Spear House, built in 1835 by Joel Smith Bacon, Professor of Mathematics and Natural Philosophy and Intellectual and Moral Philosophy, houses the Center for Career Services. Student Residences and Athletics Facilities are described in Residential Life . Information Technology Services (ITS) provides to the Colgate community a wide array of computing and telecommunications services that foster the exchange of information and ideas among faculty, students, and staff. ITS Service Desk Located on the third floor of Case-Geyer, is open Monday through Thursday 8:00 a.m.–10:00 p.m., Friday 8:00 a.m.–4:30 p.m., Saturdays and Sundays 10:00 a.m.–10:00 p.m., to assist with technology needs. Students and staff can also call 315-228-7111 or e-mail itshelp@colgate.edu. O’Connor Lab Located on the ground level of O’Connor Campus Center, the lab is open Sunday through Wednesday 10:00 a.m.–midnight and Thursday through Saturday 10:00 a.m.–10:00 p.m. The Coop Help Desk assistants maintain the printers in the lab and can assist with general computing questions. Student Jobs ITS is one of the largest student employers on campus. Students learn valuable life skills working closely with the ITS staff at the ITS Service Desk, in the Visualization lab, with our Helpline, web services team, infrastructure team and programmers. Student workers have the opportunity to work with new and exciting technology including 3D printing and quadcopters and well as learning valuable management skills as student supervisors. Classroom Technology Virtually all of Colgate’s classrooms are technology enhanced. Case Library and Geyer Center for Information Technology Services is home to the Anita Grover ‘74 and Tom Hargrove P’14 Digital Learning and Media Center (DLMC) and professional audio and video studios. Opened in fall 2012, the DLMC is a collaborative studio for digital media creation and manipulation. Located in the Learning Commons on level five, the DLMC houses 16 Macintosh workstations and serves as both a classroom for formal instruction and a lab for individual student work. The studios, on level one of Case-Geyer, house professional equipment capable of producing high-end audio and video productions. In Lawrence Hall, the W.M. Keck Humanities Resource Center provides technologies and staff support for language learning and instruction. Instructional Support The academic technology group and the Collaboration for Enhanced Learning (CEL) provides coordinated support to faculty who wish to utilize current and emerging technologies to develop more creative connections among teaching, learning, and technology. In the Case-Geyer building, faculty, staff, and students have access to an extensive media collection. Facilities for media editing and viewing are also available. Members of the Colgate community also have access to high-end laptops, digital cameras, audio recording devices, and digital video cameras for on- and off-campus curricular work and research. ITS also provides support for general computing problems or questions, technology planning, and course-related projects and research. Internet, Intranet, and Web Services Colgate’s main website, colgate.edu, offers important information to a variety of constituencies including prospective students and their parents, alumni, the media, current students, faculty and staff, those interested in working at the university, and others. The website serves these audiences through informational webpages, news stories, multimedia, and integration with social media sites. The university mobile app also provides the latest university news, campus directions, contact directories, area information, dining menus, and Colgate Cruiser bus schedules. The university provides students, faculty, and staff anywhere/anytime access to a variety of web-based services, including the portal, e-mail, calendar, course registration and records, directories, textbook orders, online technology courses, library catalogues, indexes, databases, and full-text resources. All public spaces have wireless Internet access, including both libraries, all student residences, dining halls, and most outdoor areas. Public Computing and Departmental Labs In excess of a dozen public computing facilities and a number of departmental computer labs offer students access to more than 500 Windows and Macintosh computers connected to the local Colgate network, the Internet, and dozens of software applications. Additionally, many academic departments provide access to advanced software and specialized equipment specific to courses of study. Telephone and Other Services Local and long-distance telephone services and voicemail are available to employees. Emergency phones in strategic locations and courtesy phones in all academic buildings are available for public use; additionally, cable television, Internet, and campus network connections for personal computers are provided free of charge in all residence hall rooms.